American Spirits | Hunterdon Brewing Co.
Company History | Hunterdon Brewing Co.
Our Fleet | Hunterdon Brewing Co.
Central East Sales | Hunterdon Brewing Co.
Central West Sales | Hunterdon Brewing Co.
Managers | Hunterdon Brewing Co.
Northeast Sales | Hunterdon Brewing Co.
Northwest Sales | Hunterdon Brewing Co.
Office Staff | Hunterdon Brewing Co.
Operations | Hunterdon Brewing Co.
South Sales | Hunterdon Brewing Co. Specialty | Hunterdon Brewing Co. ACE spACE is Here, and It&#8217;s Out of This World | Hunterdon Brewing Co.
Barr Hill Breaks Ground On Downtown Distillery | Hunterdon Brewing Co.
BEE&#8217;S KNEES WEEK presented by Barr Hill | Hunterdon Brewing Co.
Employment | Hunterdon Brewing Co.
New Releases | Hunterdon Brewing Co.
Press Release | Hunterdon Brewing Co.
Weekly Spotlight | Hunterdon Brewing Co.
Company Info | Hunterdon Brewing Co.
FAQ | Hunterdon Brewing Co. Links | Hunterdon Brewing Co.
Allagash Can Launch Party at WurstbarHunterdon Brewing Co.
Pics &amp; Clips | Hunterdon Brewing Co.
Soak Up Some Summer Blonde! 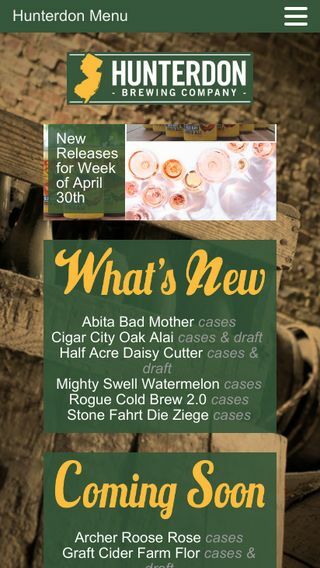 | Hunterdon Brewing Co.
New Releases for April 2019 | Hunterdon Brewing Co. Domestic Beer | Hunterdon Brewing Co.
Ready To Drink | Hunterdon Brewing Co.
Ciders &#038; Mead | Hunterdon Brewing Co. Draft Beer | Hunterdon Brewing Co.
Wine and Sake | Hunterdon Brewing Co. Imported Beer | Hunterdon Brewing Co.
International Spirits | Hunterdon Brewing Co. 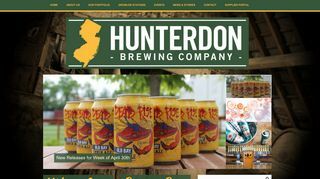 Retailer Portal | Hunterdon Brewing Co.
Where to Find Dogfish Head Spirits | Hunterdon Brewing Co.